Only 40 people limited from order of arrival. It's from 6,480 JPY as very reasonable price. ※he number of the tour might increase according to the number of the participants. Safe and confortable with the special guide all the time. Bathroom break every 2 hours in the bus. You can join from single person. The seat will be located next to the same gender. 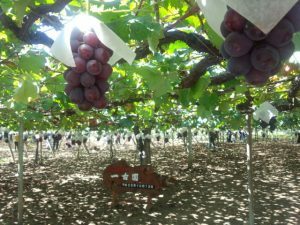 Picking Grapes at Katsunuma where the center of the grape producer in Japan. 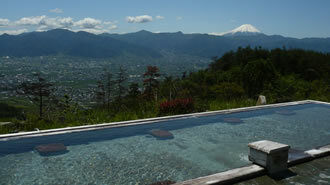 ※Hottarakashi Onsen or Mitama Onsen. ※Onsen and launch are not included. Onsen is 800yen. ※Soap, Shampoo dryer are available. 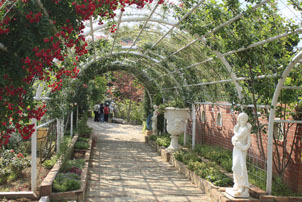 Visiting Harb Garden. The guide will be tour inside of the harb garden. 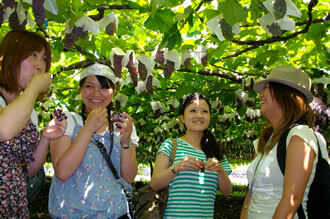 Visit Sato no Eki for shopping local products of Yamanashi. ※15 min. from Shinjuku Station West Entrance.Bus will not wait for you. So, please be careful about the leaving time and don't be late.